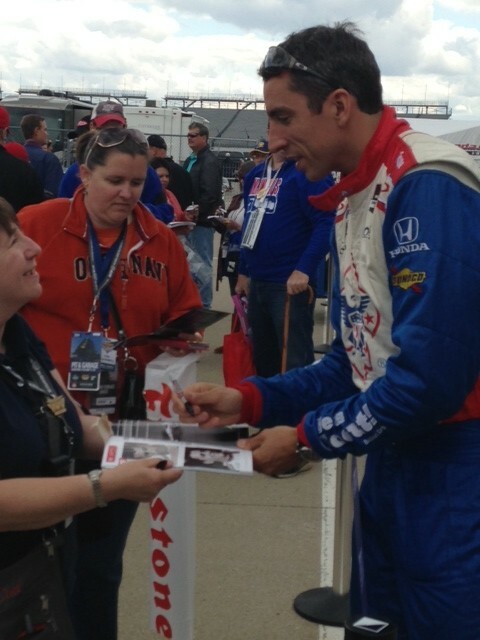 I had the opportunity to talk with fans at the track before qualifying started Saturday about the new format. Let’s just say there were a lot of confused fans about what exactly was going to occur on the track. The majority of fans I talked to thought the only important aspect to Saturday’s qualifying was who was going to be in the fast nine. When I told them that today’s qualifying determined pit selection for position 10-33, they quickly realized that it was important for everyone to do well and not just the fast nine. I personally was in favor of this new format as I thought it created the ability to see plenty of action all day on the track. Typically over the last 10 years, every driver makes a first qualifying attempt that starts at 11:00am and ends by 1:00pm. Many teams opt to go to the garage since the track and ambient temperatures are on the rise, while the smaller teams do some practice runs. The track is open for practice from 1:00 to about 3:30 when the teams start rolling the cars out from the garage to line up for their last qualifying runs. This has created a lull in the action, both for the fans at the track and for television viewers. Teams don’t get serious until the last hour and a half to go for the pole. Not so this year! The new format did exactly what it was designed to do. There were no limits on how many times a car could qualify unlike the old format of three. Team’s also did not have to worry about qualifying slower if they went back out because their fastest qualifying time would stand. The result was the track was busy all day with teams trying to not only get in the fast nine, but also trying to better their position so they had a more favorable pit selection. This new format actually featured 71 qualifying attempts. One observation I had is it seemed like the drivers and teams were not as stressed out as in years past. This was very noticeable in the garage area. I saw many drivers out signing autographs for fans, taking pictures and being jovial with them. Usually it’s rare to see a driver in the garage area, as they are so focused on what they need to do to improve their qualifying run, since they only have two runs left. It sprinkled for 10 minutes delaying the on track action but the garage area was buzzing with drivers coming out and interacting with the fans to pass the time. After the trucks dried the track off in 10 minutes, the drivers were going back out to get in line. The big question for me was which driver was going to be the first one to skip the second qualifying lane and enter the first qualifying lane? If you’ve ever been to Disney, this is like a fast pass line. The driver who enters lane one loses their current qualifying time but gets to bypass the line and is the next one out to qualify. Well that person was Marco Andretti. 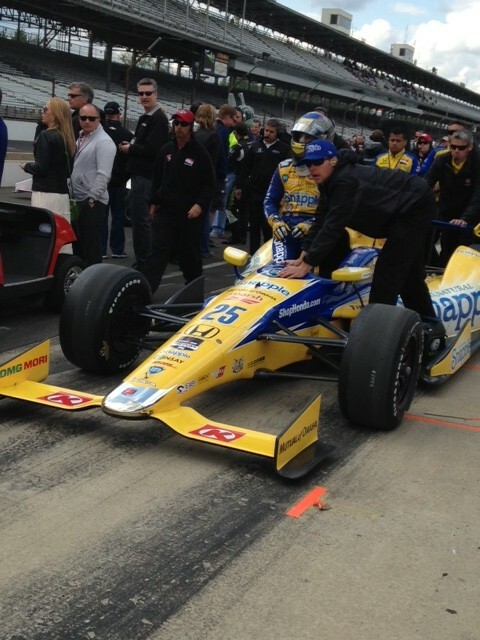 This opened the door for other drivers to do the same thing and added a lot of excitement to the qualifying process. It’s a gamble but it’s a calculated gamble. The first time Marco did it, it didn’t work and he qualified slower than his original time. That did not deter him as he went back out after some adjustments and made the fast nine. Looking at my twitter feed after qualifying and listening to Kevin Lee and Donald Davidson on 1070AM The Fan, I think many fans were surprised at how well the changes worked. Donald Davidson called himself an old curmudgeon that does not like change and even he thought the new format worked. That says a lot coming from the premiere historian of Indianapolis Motor Speedway. Kevin Lee said they had to do something or ABC wasn’t going to televise what had been taking place because it was boring. I agree that the new format did work and it should be back next year. Now we just need more than 33 entries so we have more drama on Sunday for places 31-33. It will be exciting to see how it all shakes out Sunday.